The next part of our around Oz Adventure should be to Darwin in the very far north but it is just the wrong time of year to go there – just too humid and wet – so this year we are stopping for a mini adventure in South east Asia on our way to Australia. We fly to Bangkok and then take a connecting flight to Saigon. We will then make our way overland to Bangkok travelling through Vietnam, Cambodia and Thailand. 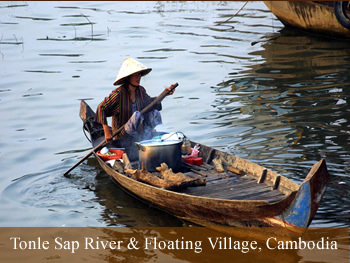 We will travel on the Mekong River – guaranteed to fire up the imagination and of course visit the temples of Angkor, one of the worlds most magnificent sights. 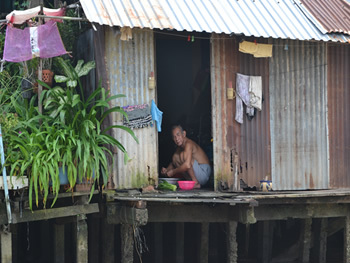 We will also visit the floating villages of Tonie le Sap Lake, the buzzing Phnom Penh and of course Siem Reap ( one of the most popular destinations on our planet at the moment). We will travel by boat, coach and local transport. After Bangkok we fly to Brisbane where we will stay in a hotel for a couple of nights before picking up Geoffrey (our camper van) and then start on our Oz Adventure 5.
his time we will visit the Sunshine and Gold coasts and also some super national parks in the outback. Quote from the Lonely Planet ‘The travellers first glimpse of Angkor Wat is simply staggering and matched only by a few select spots on earth such as Machu Pichu and Petra. We can’t wait to get started – follow our diary. We’ll make entries as often as possible. Two Men in a Boat?